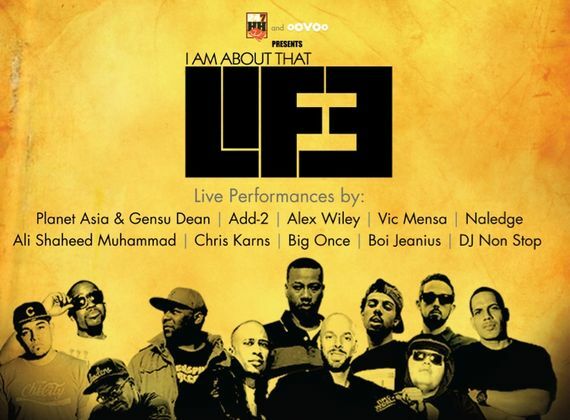 Created to shed light on the increasing violence in Chicago’s South Side neighborhoods, local non-profit Kids Off The Block have joined up with 247HipHop, OOVOO, Modern Notoriety and others to present “I Am About That Life”. This concert of sorts is intended to teach through music, the arts and culture (that’s where we come into play) and to educate the public on the state of these neighborhoods and to inspire action. “IAATL” features appearances from Hip Hop artists from then and now, and brings them together to highlight the issues affecting neighborhoods all over Chicago. From A Tribe Called Quest DJ Ali Shaheed Muhammed, locals Alex Wiley, Vic Mensa, and local graffiti artist Kane 1 and more, there will be a lot to see and hear. 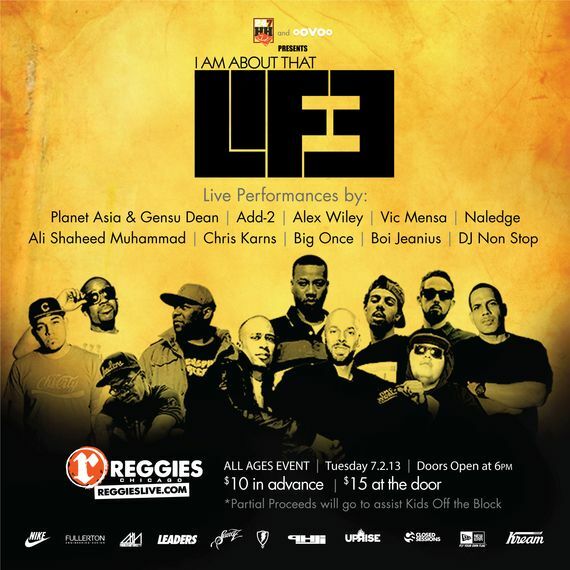 This all-ages event will be taking place July 2, 2013 at Reggie’s Rock Club in Chicago, IL, come out and help the cause, and be sure to stop by and say hey to the Modern Notoriety crew. More information after the jump.